The tower of the Grand or Eusebius Church is the landmark of the city of Arnhem. 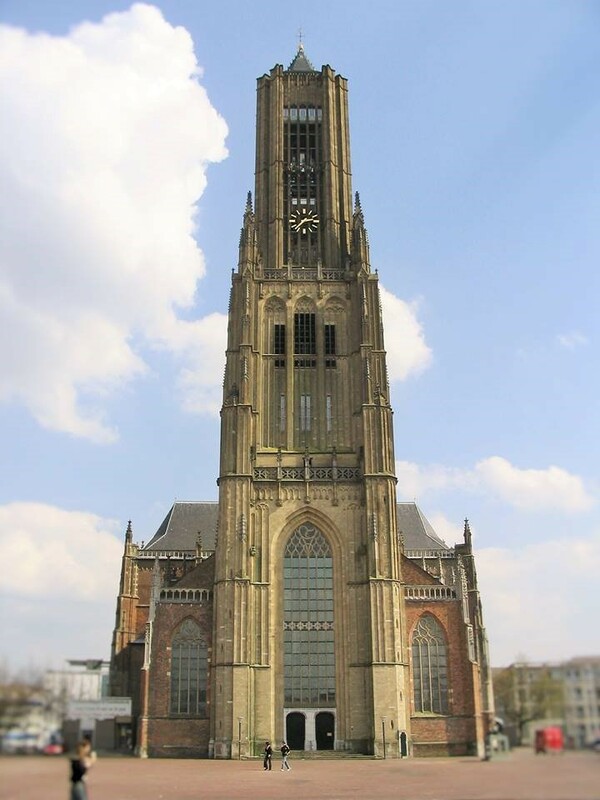 The tower housed only swinging bells until 1652, when the famous brothers François and Pieter Hemony cast a carillon of 32 bells for the tower. This instrument was enlarged several times in later centuries. 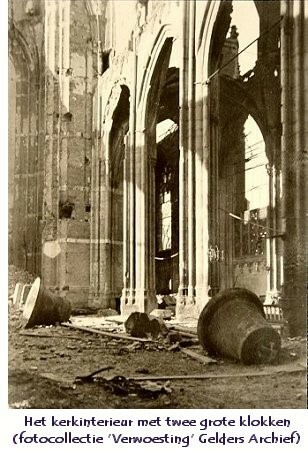 The church and the carillon were largely destroyed during the Battle of Arnhem (also known as Operation Market Garden) in September 1944. 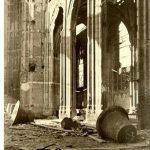 It is reported that during the fire that hit the tower, the automatic carillon started to play, as if it was giving a last musical farewell. Petit & Fritsen installed a new carillon of 49 bells between 1958 and 1964. 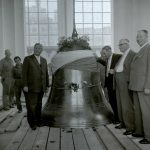 Since then, the carillon has been played at the yearly memorial services for the dead in May. 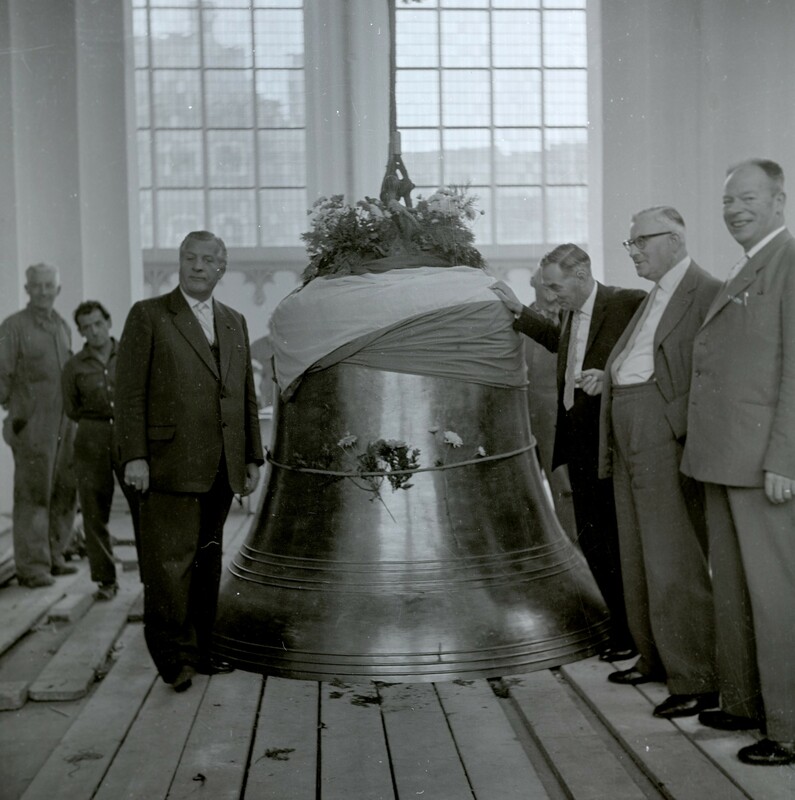 In 1994, 50 years after the Battle of Arnhem, four bass bells were added to the instrument. The new bourdon was donated by a number of English organizations and individuals. 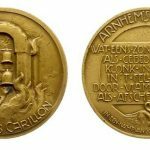 Thanks to the efforts of former mayor Paul Scholten, Dutch companies engaged in the financing of the three other bells. 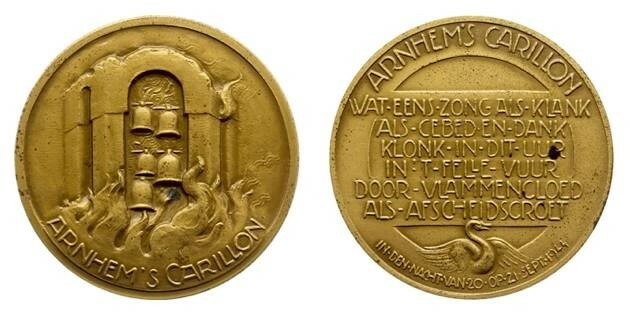 The inauguration of the new bells on 15 September 1994 was attended by Dutch Crown Prince Willem-Alexander, British Crown Prince Charles, and General John Hackett, who had been severely wounded during the Battle of Arnhem. Since 1994, the carillon and the swinging bells sound every year at the commemoration of the dramatic battle, which was immortalized by the novel and the film A Bridge Too Far. 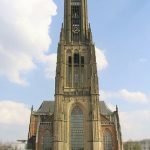 The Eusebius Church and its carillon have been icons of the city of Arnhem for centuries, but today they are even more so since their resurrection after the dramatic events of September 1944.